Timothy Ferriss is the author of one of my favorite books of all times, The 4 Hour Workweek, a must-read about productivity and entrepreneurship. Tim Ferriss has been listed as one of Fast Company’s ‘Most Innovative Business People’ and Forbes Magazine’s ‘Names You Need to know. He’s got some great ideas about living outside the 9-to-5 mindset. Less work more play! Here are my top 10 Tim Ferriss quotes. Timothy Ferriss, The 4-Hour Workweek, Expanded and Updated, With Over 100 New Pages Of Cutting-edge Content, 2009. 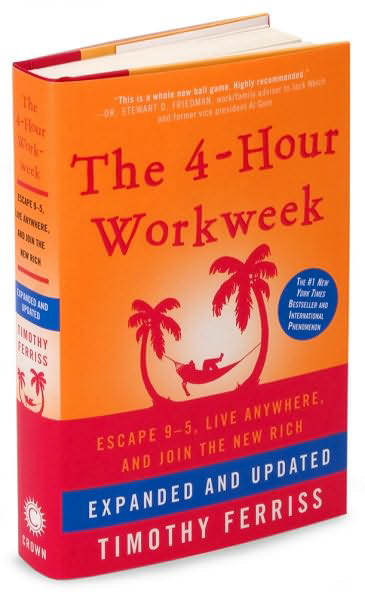 Timothy Ferriss, The 4-hour Workweek: Escape9-5, Live Anywhere, and Join The New Rich, 2007.